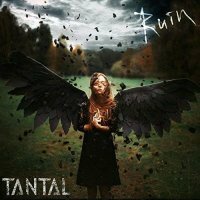 Genre-wise Tantal's music can be linked to a number of Metal styles, including Symphonic/Gothic, Technical and Progressive. The project has existed for over ten years now, the first release being a promo CD called 'Emotional Distress' back in 2007. 'Ruin' is their third full-length release following 'The Beginning Of The End' in 2009 and 'Expectancy' in 2014. The two main protagonists are vocalist Sofia Raykova and guitarist Dmitry Ignatiev and they are both also involved in a number of other bands in and around Russia. Detailed information is hard to come by, but they are not just a studio outfit and have toured with the likes of Lacuna Coil and Resistance (sorry, never heard of them) in the past. Progressive and Technical Metal doesn't usually interest me and that, in the main, is the case with the ten tracks on 'Ruin'. Musically I can find little to fault, but I am more of a song guy and there is nothing here that really impacts. Raykova has the looks and a nice enough voice, but her dreamy delivery, for the most part lacks the edge to give the songs an identity of any significance. Ignatiev's performance really stands out, however. His playing is excellent throughout, the solos particularly worthy of a mention. They are imaginative and showcase both skill and expression and I'm surprised I've never heard of him before. The opening two songs, 'Constant Failure' and 'Denial', make the biggest impression following the first couple of plays and though some of the others have merit and bring together some interesting ideas, it is difficult to bring them to mind as the album progresses. The production is also too low key, and a bolder approach would have added more depth to the sound and created a more memorable sonic tapestry. There is clearly quality and talent on display and I'm sure fans of Dream Theater and Fates Warning, who have the time to absorb music over a longer period of time, will find much to enjoy here. Raykova has a decent voice, but Ignatiev is the star of the show.